When I arrived at the Aurora movie theater on July 20, 2012, I can honestly say that God hadn't crossed my mind that entire day. Ever since then, I've never let Him stray far from my thoughts. After what happened that night, how could I? My name is Jordan Murphy. I was a starting fullback on the University of Colorado football team. I was also a survivor of the Dark Knight movie shooting. Looking back, it's so strange how many things had to happen for me to be in that movie theater that night. If I hadn't just been cut from the Colorado State football team, my friends wouldn't have felt compelled to cheer me up. 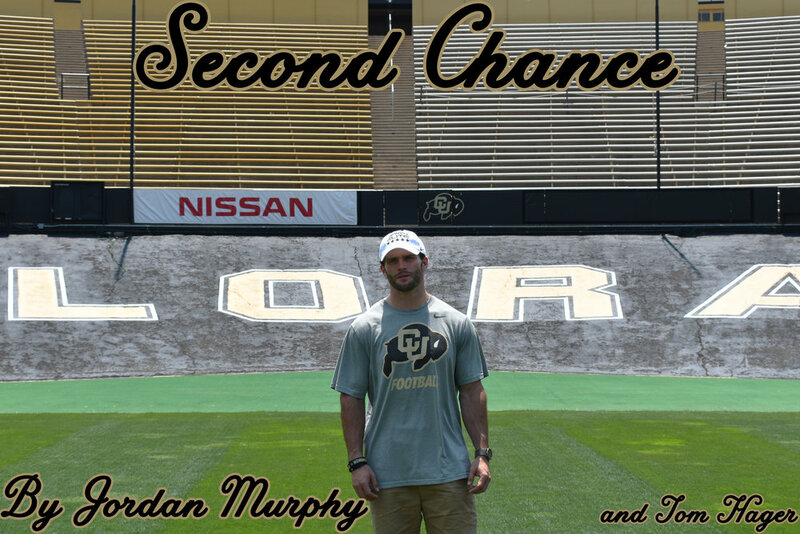 If I hadn't decided to transfer to the University of Colorado, I wouldn't have even been around them, because I could have been playing football in a different state. If my job at the hospital would have stretched any longer that night, we would have missed the movie altogether. As it were, we actually showed up late. My friends were annoyed that I was making them miss the beginning of the movie, but they were used to it by this point. They called it Murphy Time, because whenever I mentioned a certain time, they knew to add on a few extra minutes. In this particular instance, however, our tardiness may have saved our lives. This was the midnight premiere of the Dark Knight Rises, so the movie theater was packed. By the time we got there, the only seats still open were right by the screen, just three rows from the front. About 15 minutes later, I saw a light coming in from the left exit door as someone entered the theater from the outside. When the person rushed in, I could see they were wearing full tactical gear, with a gas mask and everything. I initially thought it might be a promotional stunt, because they were dressed just like the character Bane, but I quickly rationalized that this couldn't be the case. Nobody would promote a movie by interrupting it during the film. Within 15 seconds of that realization, tear gas canisters went off in the theater, and my life was about to change forever.